When we decided to write Family Don’t End With Blood, one of the main reasons was to break the silence around mental health challenges. If nobody talks about their challenges, we all tend to think we’re the only ones suffering, and thus we keep silent. That means we don’t reach out for help when we need it – and that is a dangerous thing. As a psychologist, I know the tremendous value of hearing other people’s stories, so that our own can be validated. So that WE can be validated, and thus feel worthy of the help we so deserve. Many of the chapters in the book are written by people who have dealt with a significant challenge – and have come out on the other side. 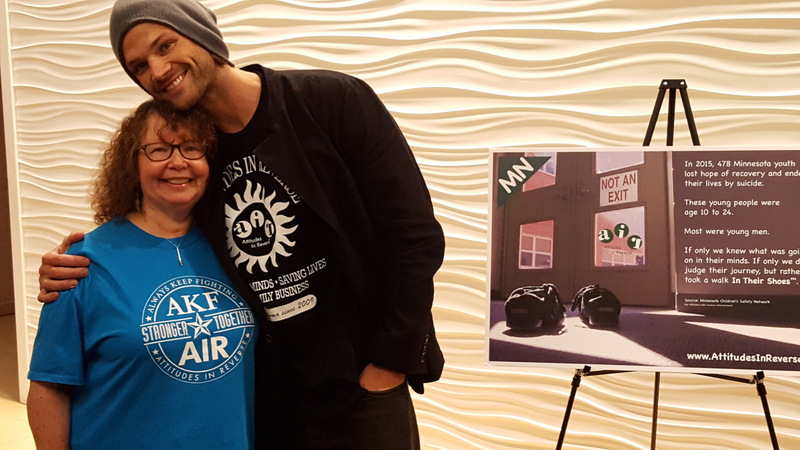 Some of those are Supernatural fans, and some of those are Supernatural actors. 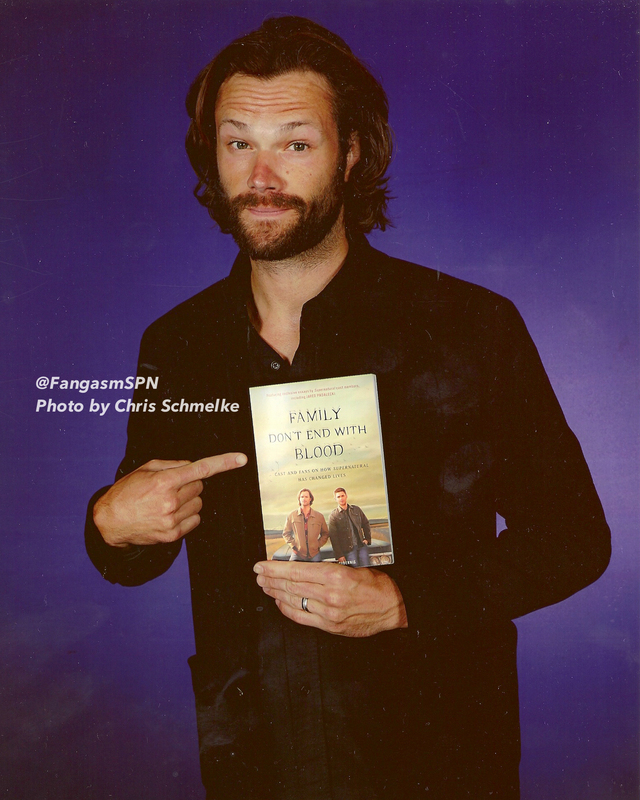 Jared Padalecki was the first Supernatural actor who told me that he had something to say and a reason to say it in Family Don’t End With Blood. He wanted to tell his own story of coming up against significant challenges of anxiety and depression, so that others would be emboldened to tell theirs to someone who could help – so that others who were struggling would truly know “you are not alone”. 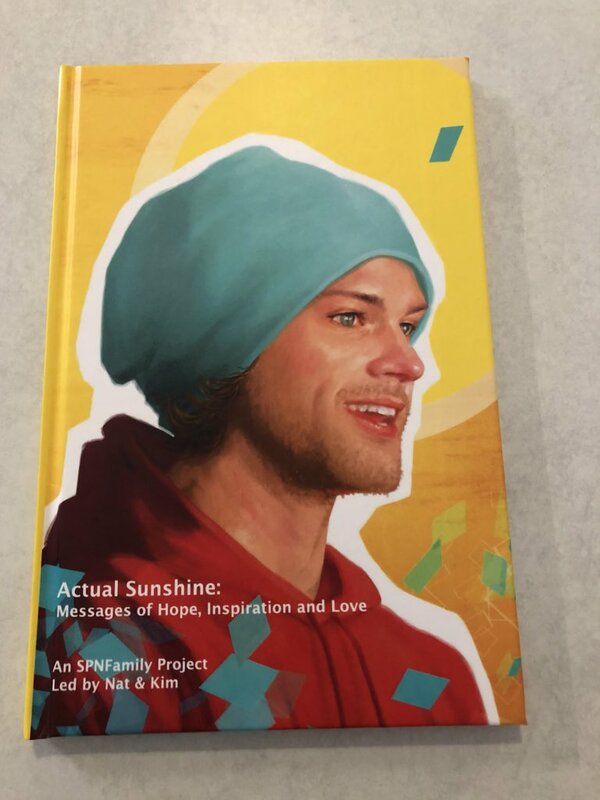 Jared had partnered with two important organizations to help get that message out there, To Write Love On Her Arms (TWLOHA) and Attitudes in Reverse (AIR). 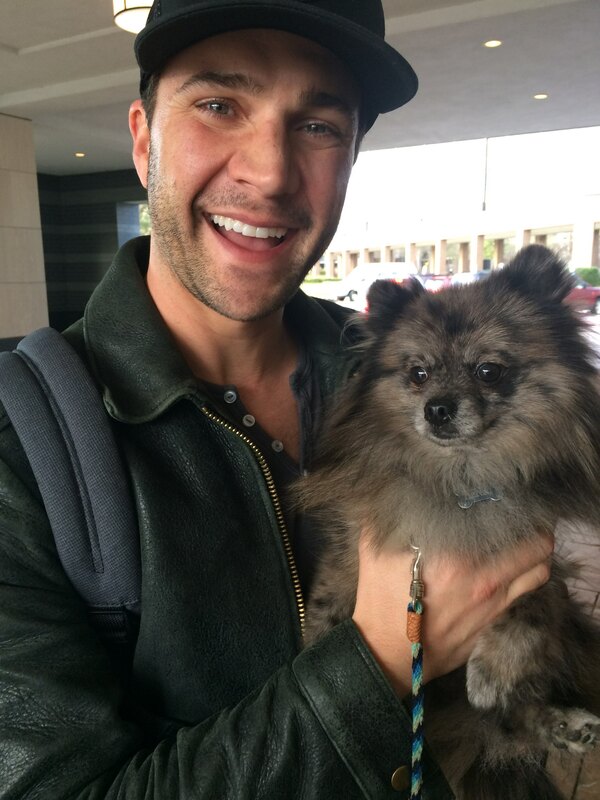 Both organizations do amazing and important work in fighting stigma, educating people about mental health, and providing a route for people who are struggling to find the help they need. 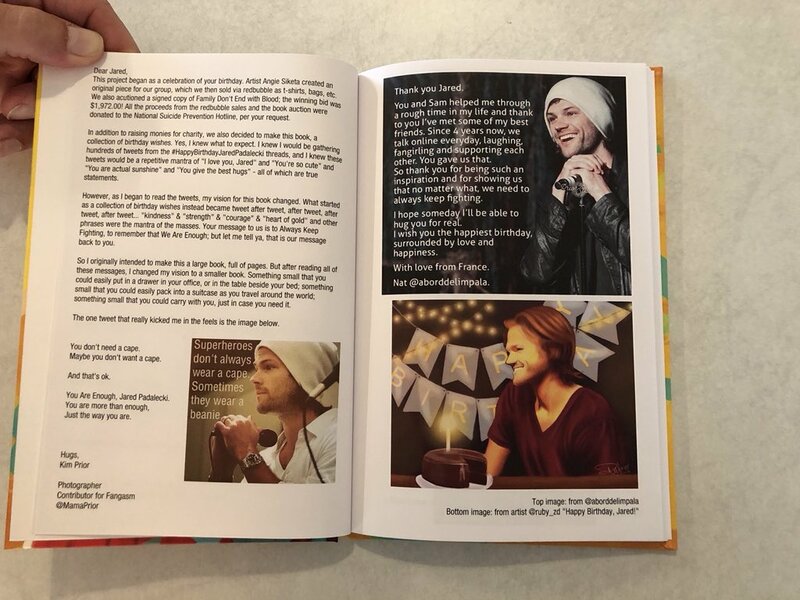 Because everyone who wrote a chapter for Family Don’t End With Blood was passionate about making a difference, we decided to donate a portion of the proceeds to two of the charitable organizations the cast supports – Misha Collins’ Random Acts and one of Jared’s partners, Attitudes in Reverse. AIR was started by Tricia and Kurt Baker after they lost their son Kenny to suicide. 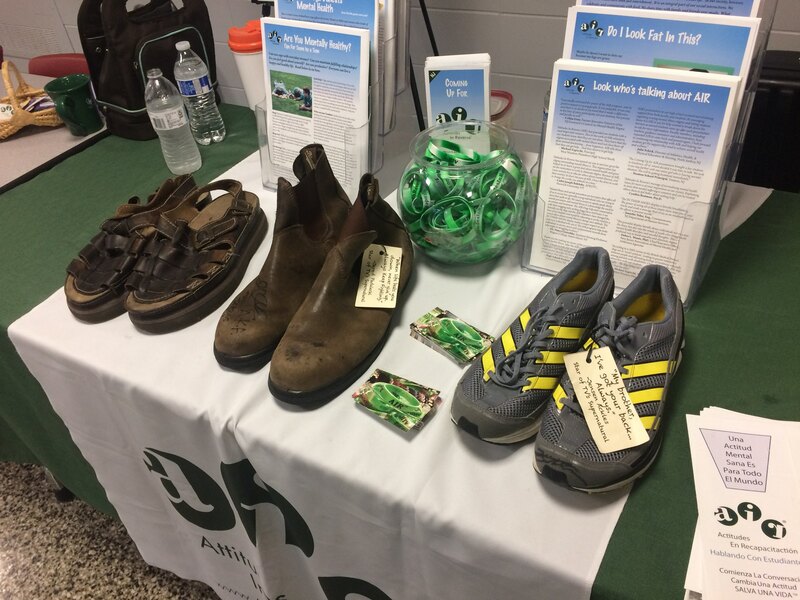 AIR volunteers, along with Trish and Kurt and their therapy dog Miki, speak at schools and universities about suicide prevention and mental health, and have put together a powerful exhibition called “In Their Shoes.” Each pair of shoes in the exhibit is from someone with an important message, written in their own words on their shoes, and helping to increase understanding and empathy for those who are struggling. You can literally “put yourself in their shoes” and understand the need for help and breaking the silence. 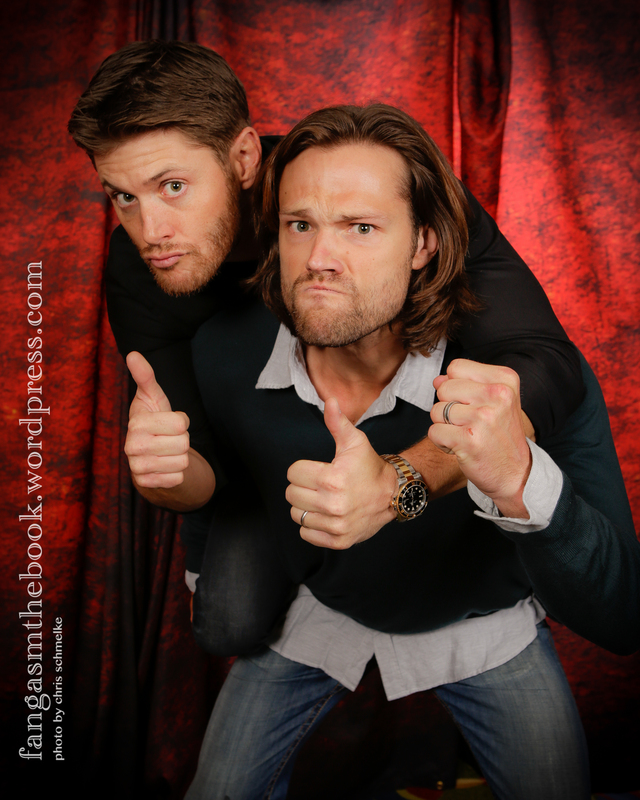 I’ve donated a pair of shoes, and so have many of the Supernatural cast. 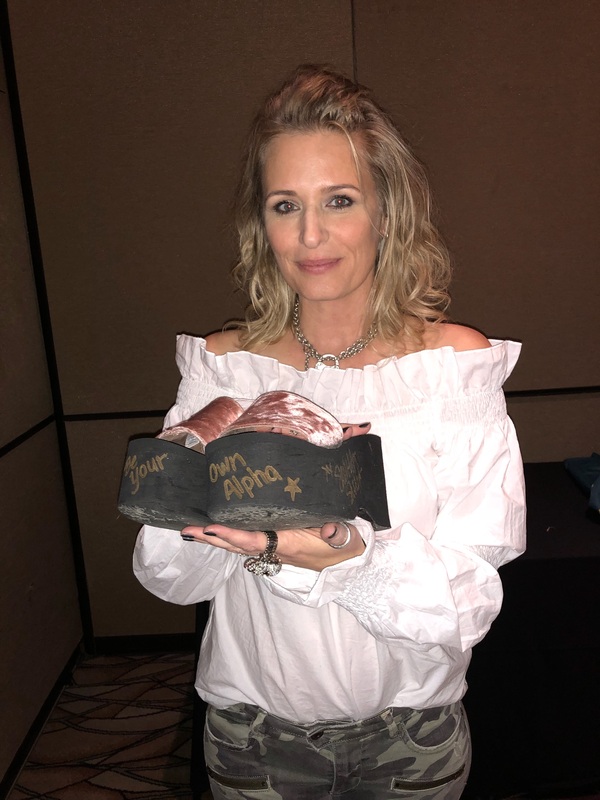 Gil McKinney, Samantha Smith, Mark Pellegrino, Carrie Genzel, Rob Benedict and Louden Swain, Jason Manns, Lauren Tom, Chris Schmelke and many others have written their messages on a pair of their shoes. 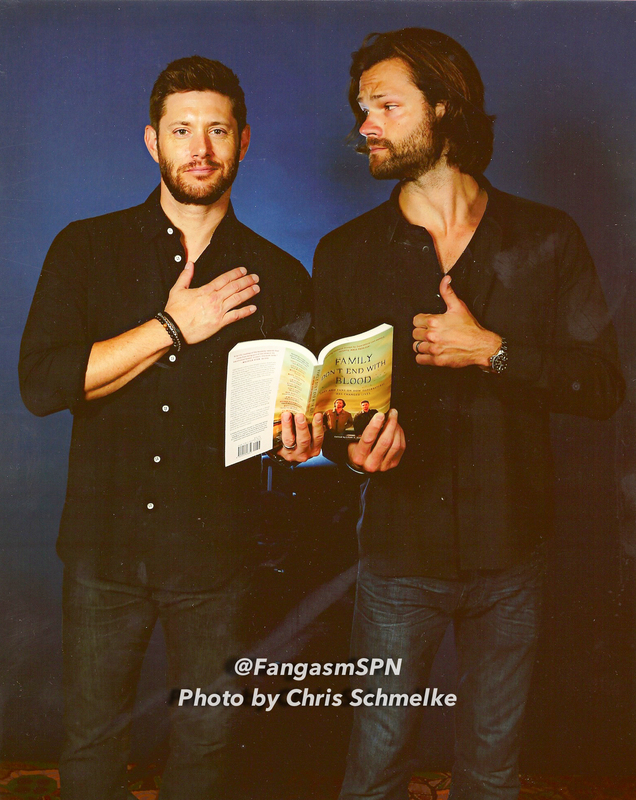 Jensen Ackles donated a worn pair of sneakers, with the message “My brother, I’ve got your back….Always.” When Jared was struggling, Jensen was there for him, and his message reflects his unwavering empathy, understanding and support. 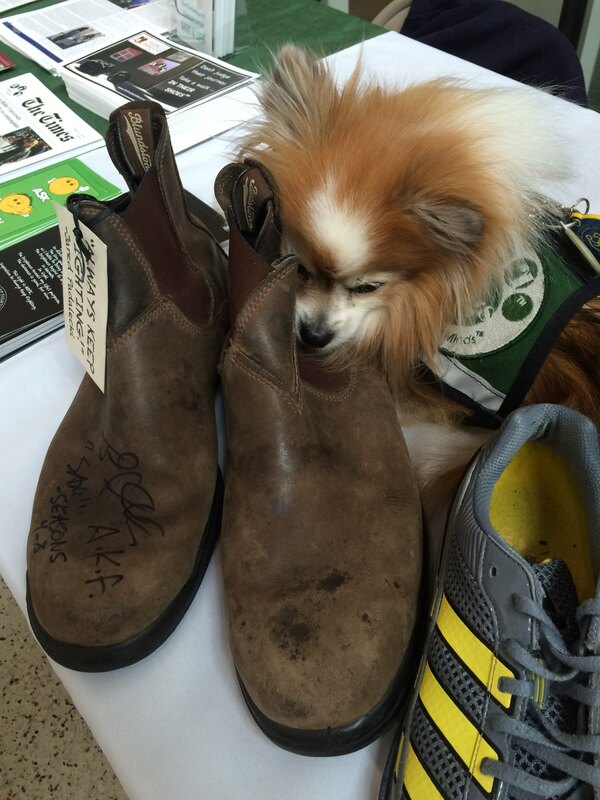 Jared Padalecki donated a pair of boots which have travelled all over the country to help raise awareness. His message: When life breaks you down, never give up. Always Keep Fighting. 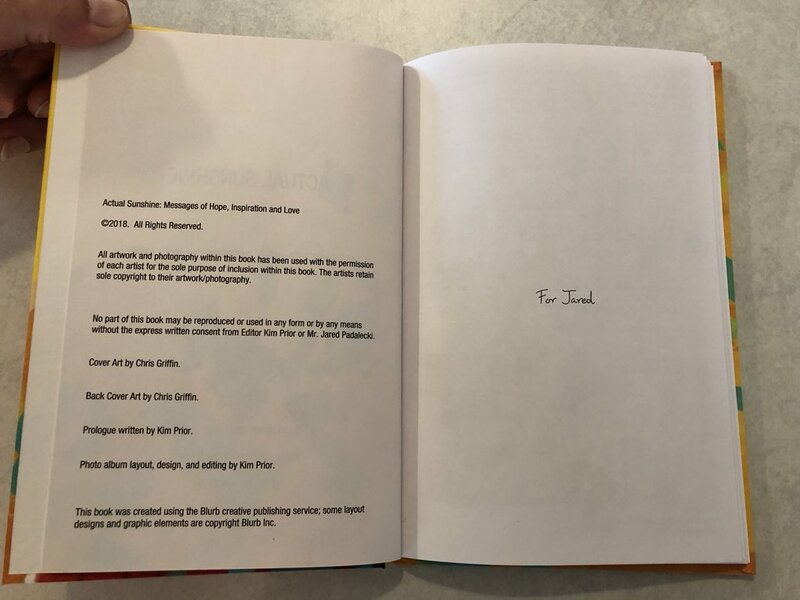 In the chapter he wrote for Family Don’t End With Blood, Jared opens up about his own anxiety and depression, and how sometimes it has been difficult for him to keep going. He writes with extraordinary candor and vulnerability, taking the reader along with him on a lifetime journey of self discovery starting with his own childhood and continuing through Supernatural and the present. Jared shares his story so that others can feel like it’s okay to share theirs – and to accept help, just like he did. I’ve had an ongoing struggle with anxiety and depression most of my adult life… it did win a few battles along the way (though I am proud to say, I am winning the WAR!). 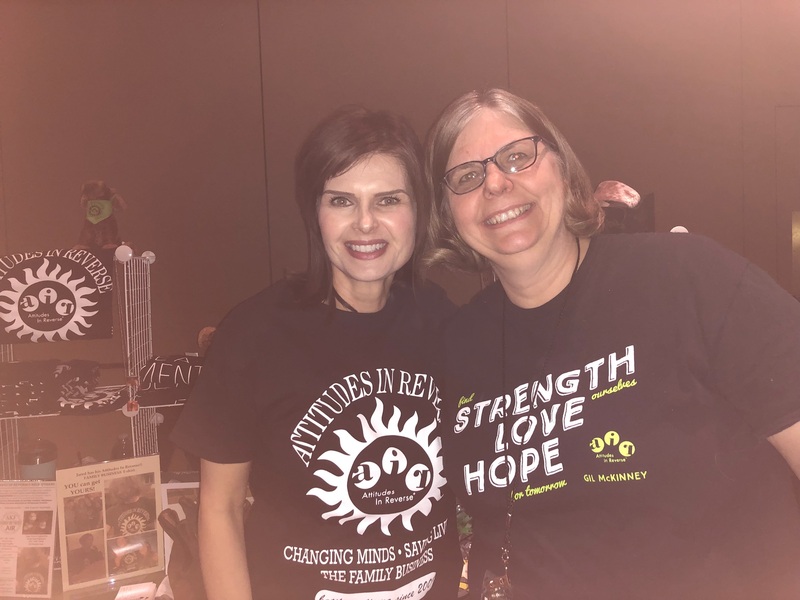 One of those battles was in season 3, during the filming of “A Very Supernatural Christmas.” It was a day like any other: I woke up, worked out, memorized my lines, and headed to the set. But something I couldn’t identify (or, maybe, that I was choosing to ignore) was eating at me. Beating me down. Convincing me that it was going to win, and that I didn’t have a chance to stop it. I made it through my daily hair and makeup and was taken to set for a rehearsal and blocking of our day’s first scene. I got in the car and rode to set, and then I was sent back to my trailer to finish changing into wardrobe and to wait while the crew set up the lighting. I walked into my trailer, sat down on the couch, and I couldn’t get up. I could no longer, on my own, muster the will to carry on. I heard the knocks on my door and I knew my crew was ready for me on set, but I couldn’t make it out of my trailer. After a bit of time, Jensen came into my trailer to see what was going on, and he knew I was not okay. He had the assistant director call for a doctor, and he sat with me to talk. The doctor showed up a bit later and sat with me in my trailer to ask me a few questions. After some time, the doctor told me that his professional opinion was that I was clinically depressed, and I should take some time off from filming. I couldn’t put my crew out of work for a day, a week, a month. I also couldn’t face, or admit, what was going on in my head. I met the doctor in the middle. I went home, and we pushed that day’s scenes to another time. After a long sleep and a long jog and a long bath, I was ready to show back up for work the next day. Supernatural has continued for many years after that. And then, seven years later, we went back to film at the very same house we were using the day I sat in my trailer and couldn’t make it to set. 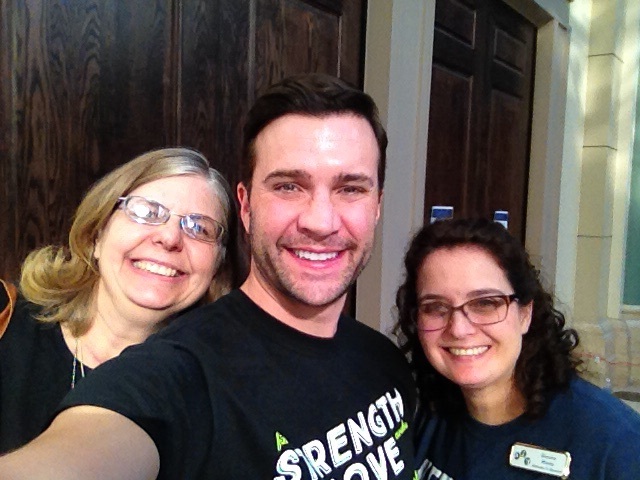 That day was the day I also launched the first Always Keep Fighting campaign. In over 200 episodes, over 1,600 filming days, and hundreds of locations, what are the odds?